To give a human example, brothers: even with a man-made covenant, no one annuls it or adds to it once it has been ratified. Now the promises were made to Abraham and to his offspring. It does not say, “And to offsprings,” referring to many, but referring to one, “And to your offspring,” who is Christ. For the past several installments of this series including Part 7, I’ve been focusing on aspects of the New Covenant, mainly because the little bits and pieces that relate to Christianity can only be tracked down in different parts of the New Testament. However, recent conversations have shown me that I should probably return to the foundation of my understanding for a bit to illustrate its solidity, or at least describe the trail of reasoning that I’m pursuing. As you have probably guessed, it all goes back to Abraham and the covenant God announced to him in Genesis 12. But what exactly did God promise Abraham and what does it have to do with us, that is, with Christians? Genesis 12:1-3 – God promises to make Abraham into great nation, bless those who bless him and curse those who curse him, and all peoples on earth would be blessed through Abraham. 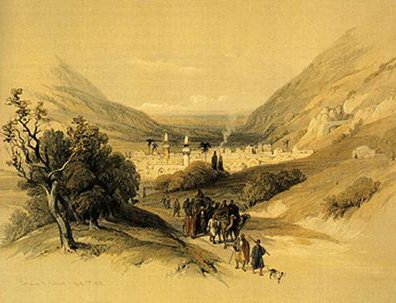 Genesis 15:18–21 – God promises to give Abraham’s descendants all the land from the river of Egypt to the Euphrates, and this area is later referred to as the Promised Land or the Land of Israel. 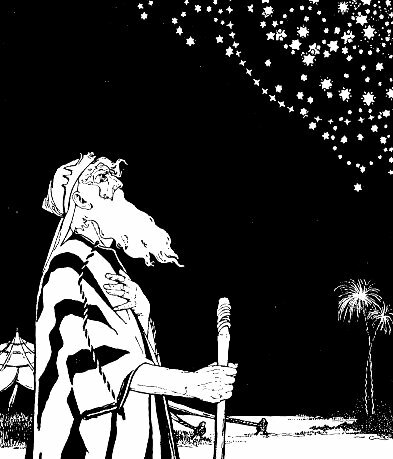 Genesis 17:2–9 – God promises to make Abraham a father of many nations and of many descendants and the land of Canaan as well as other parts of Middle East will go to his descendants. Genesis 17:9-14 – God declares that circumcision is to be the sign of the covenant for Abraham and all his male descendants and that this will be an eternal covenant. As far as the land of Israel goes, there is no provision in the covenant to give it to anyone or any other people group besides the Children of Israel and their descendants forever, the Jewish people. That takes care of the Land. But what about us? We learn from Galatians 3:15-16 which I quoted above, that through Abraham’s seed, through his offspring (singular) we among the nations would be blessed. Paul declares that the offspring in question is specifically the Jewish Messiah, Jesus Christ. Our blessings that issue from the Abrahamic covenant are directly transferred to us through the Messiah. So far, of the four items in the above-referenced list, only one of them seems to apply to Christians, the blessings of the Messiah. 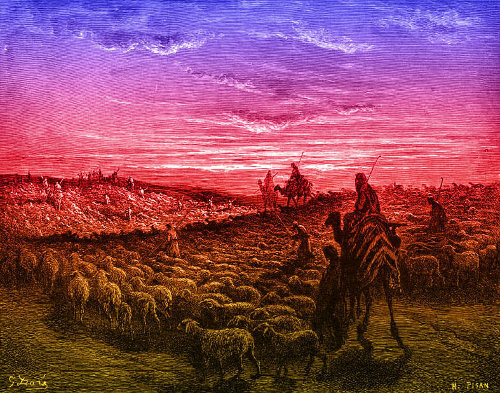 What else do we know about the Messianic blessings in the Abrahamic covenant? We see that it was Abraham’s faith that was counted to him as righteousness, and this was before the sign of the covenant was placed upon Abraham. We too, the “uncircumcised” of the nations, are called “righteous” because of our faith. Thus Abraham Avinu is our father, according to Paul, not just the father of the Hebrews. No, that doesn’t mean we are Hebrew (Jewish) too, nor does it mean we inherit the total body of covenant blessings and responsibilities that are incumbent upon the Jews, but it does make us connected to Abraham as the father of our faith, and through his covenant and the Messiah, with God. This is kind of a delicate trail to negotiate, and we have to be careful that we don’t slip off the path and fall into erroneous thinking. The promise of the Land, and I believe the other specific promises, including the covenantal sign of circumcision, are for the physical descendants of Abraham and of Isaac, and of Jacob. That’s not the rest of us. That’s just the Jewish people. In other words, all of the conditions of the Abrahamic covenant, including the blessings of the Messiah, flow to the children of Abraham, Isaac, and Jacob. The single blessing that we can be attached to through the Messiah is attached to Abraham alone, as he was before his circumcision, as he was before Isaac; a man of faith and righteousness before God. That’s the split, the demarcation line between Christian and Jew, the slender thread of “covenanthood” by which we Gentile Christians are connected to Abraham, the Abrahamic covenant, and thus, to God. That’s a terrific lesson for many non-Jewish believers to learn because, through one process or another, we have come to feel superior to the Jewish people who God, in the end, will reattach to the root, all of them. Remember, any of you out there who are not physical descendants of Abraham, Isaac, and Jacob, (apart from legitimate converts to Judaism) don’t get cocky. God not only didn’t get rid of the Jews, it is through them that your salvation and covenant connection to God is established and nourished in the first place. Being Jewish is not beside the point just because we Gentiles have been grafted in. There remains much advantage to being Jewish. Even those Jews today who do not acknowledge Christ as Messiah are not permanently condemned as many Christians seem to believe. They are not discarded and cast aside. As regards the gospel, they are enemies for your sake. But as regards election, they are beloved for the sake of their forefathers. For the gifts and the calling of God are irrevocable. I’ve probably wandered from the strictly Abrahamic path, but with good purpose. The purpose is to illustrate that just because Jews and Christians share the Messianic blessings that are part of the wider Abrahamic covenant through faith, that does not mean we share all of the blessings attached to that covenant. 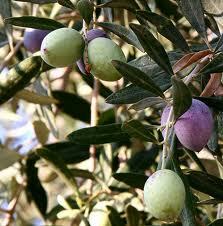 Paul was extremely clear that there is a distinction between Jewish (native) and Gentile (wild) olive branches. They all didn’t “morph” into a single type of branch with no way to tell them apart. Also, Paul was extremely clear that there were many advantages to being a Jew. Further, he said that even if some of the Jews were temporarily removed from the root for the sake of we Gentile Christians, in the end, God’s promises to the Jewish people are irrevocable; they cannot be revoked! The really interesting thing about all of this is that a Christian must choose to become part of the covenant with God through Jesus and Christians can also “unchoose” Christianity for another religion or no religion at all. Not so with the Jewish people. If you are born a Jew, you are automatically born into the covenant (actually covenants, but I’m only talking about Abraham for the moment). God has temporarily turned His face away from His people Israel in the past, and He has temporarily exiled them in the past, but as “temporarily” implies, He always takes them back and He always will take them back. In spite of the fact that this missive is longer than I intended, I didn’t get to say everything I could have said about Christianity and the Abrahamic covenant. Hopefully, I’ve said enough for now. This is a great break-down of the Abrahamic promise for both Jews and non-Jews. I feel you broke it down to the very basics, and articulated the position in an easy to understand way. Yasher koach (may you be strengthened)! James…you have articulated SO WELL points that I had wished to make to Christian friends a few weeks ago. May I print this article and send to them? @Rabbi Joshua: Thanks. I appreciate the compliment. I always feel I’m shooting from the hip, so to speak, when I write all this stuff. @Pat: Of course. Please feel free to pass this along via whatever medium you desire. And thank you too for the compliment. Just an update. In spite of Genesis 12 and the granting of Israel to the Jewish people (and only the Jewish people) forever, I just read a paper written by someone named J.K. McKee called Commonwealth of Israel (PDF) that apparently tries to use Galatians 2 and the greek word “Politeia” to do an end run around this covenant promise (or my understanding of it, anyway). The upshot of McKee’s article is that when we become Christians, we become equal citizens in Israel (I assume he doesn’t mean the modern state of Israel) with the Jewish people. I guess the implication is that as equal citizens, we also become “quasi-Jewish” relative, not only to the Abrahamic covenant, but the Mosaic and New Covenants as well. While I commend Mr. McKee for his comments opposing traditional Christian supersessionism and his desire to support Jews and Israel, I feel that it will take more than a single word translated from Biblical Greek to English from a single chapter in one of Paul’s letters in the New Testament to re-write the intent of God in His covenant promises to Abraham. This is just my opinion of course, and unlike Mr. McKee, my Masters degree is not in Biblical Studies. Nevertheless, I feel that it would take quite a bit more documentation to “prove” that when a non-Jewish person becomes a Christian, they automatically inherit the exact same covenant promises as the Jewish people. Of course, I could be reading him wrong. In his paper, he says in part, “The Commonwealth of Israel is to be viewed as a single state ruled by the King Messiah, but one which is internally diverse in terms of its ethnic makeup.” If McKee understood that based on that “ethnic diversity,” covenants are applied differently among the Jewish and non-Jewish citizens, I could live with it. But I don’t get that impression, particularly since he states that our mutual citizenship in the Kingdom of Heaven” is the same as citizenship in the Commonwealth of Israel. Read the article (I posted a link to the PDF above) and let me know if you think what is presented in this five-page paper either overrules Genesis 12 or somehow fuses the rest of the world into “Israel” on the basis of a single word.